Sadio Mane today collected the Standard Chartered Player of the Month award for February and delivered a promise for the rest of the season: "We're going to do our best to make the fans proud." The No.19, who returned from Africa Cup of Nations duty in late January, punctuated a difficult period for Liverpool as a whole with a match-winning double against Tottenham Hotspur. Mane struck twice in the first half at Anfield that night to secure an important Premier League victory and move into double figures for goals so far this season. “I’m very happy to be nominated by the fans. 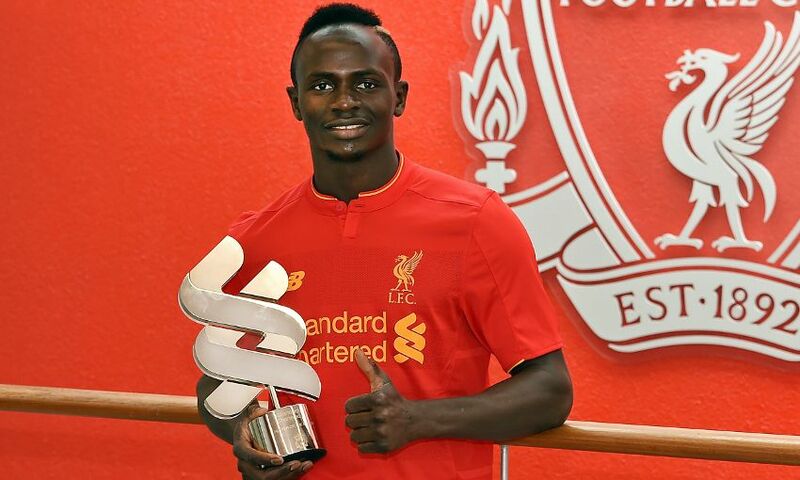 I’m just looking forward to doing my best for the team,” he told Liverpoolfc.com upon receiving the prize at Melwood. “It was a difficult few weeks. We were struggling and it wasn’t easy for us, for the club and for the fans. But it’s part of football. Though the Reds suffered frustrating defeats on the road at Hull City and Leicester City in the month, the win over Spurs ensured they remained in contention to claim a place in the top four. It was a similar story last Saturday, when Arsenal were defeated at Anfield with Mane among the scorers again, and the Senegal forward hopes to continue to harness the home atmosphere between now and May. He said: “It was a great night [against Tottenham]. It was very important to win the game and we did it.